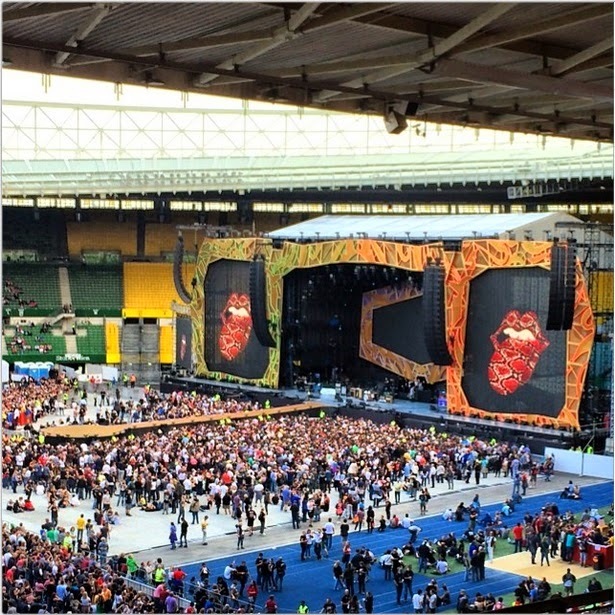 This thread is for live updates and comments regarding The Rolling Stones show at the Ernst Happel Stadium in Vienna, Austria on 16 June 2014. Please tell us your pre- and post-show thoughts and comments here. Merch tent outside went onsale around 2:30. For Vienna, they have an Austrian tongue and the artwork tongue. Didn't see any others, but I'm sure I missed one as usual. Edited 1 time(s). Last edit at 2014-06-16 16:31 by MingSubu. Enjoy the show guys. Keep the reports coming. I agree, but they only had white shirts. What's a poor boy suppose to do? They had a bunch of Vieanna artwork tongue posters. Atleast the most I've seen for the shows I've been to. Edited 1 time(s). Last edit at 2014-06-16 17:09 by MingSubu. Have a great concert, everybody. As usual, I will be at the best seat in the house, i.e., FOCS. I was on my way to my hotel 5 minutes ago and saw an outdoor of a certain hotel here in Vienna. Based on the amount of fans surrounding the building, boys are about leave the house. The amount of fans outside the Stones hotel in Vienna today was close to the Berlin crowd. Well a couple hundred in Berlin and more than hundred here in Vienna. Which makes it sort of chaotic at the entrance of course. they left 10 min ago. charlie signed some stuff, my little son got a pick! So differant to the Oslo hotel where no one around entrance and just a few fans sitting on benches across the street. Remember this : [www.iorr.org] ?? 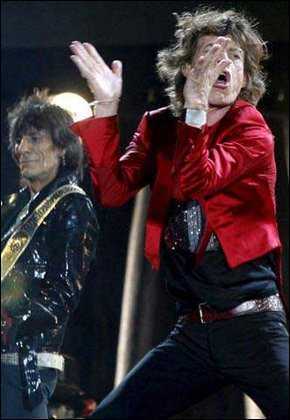 The 2006 show in Vienna might very well have been the final time that the Stones will have ever played FIVE new songs in the same concert. I like that! I'll be FOCS too - and looking forward to the updates and photos. All those at Vienna this evening - enjoy! Beautiful weather here. 70s now and 50s tonight. Heading back to the stadium soon. Count down till show time ? I'm going to guess Angie in the 5 hole ballad spot and Street Fighting Man as the by request, for the two songs that might be different from any other shows. I am in Spain and the time is 20:37 here evening ,so just wonder the time in Brazil. 15h37 here now on a cloudy day. Thunderstorm here and 24C in Almeria province and not long to go now till start of Vienna gig. Have a great time in Spain, crawdaddy! I would love to be there, maybe next time. 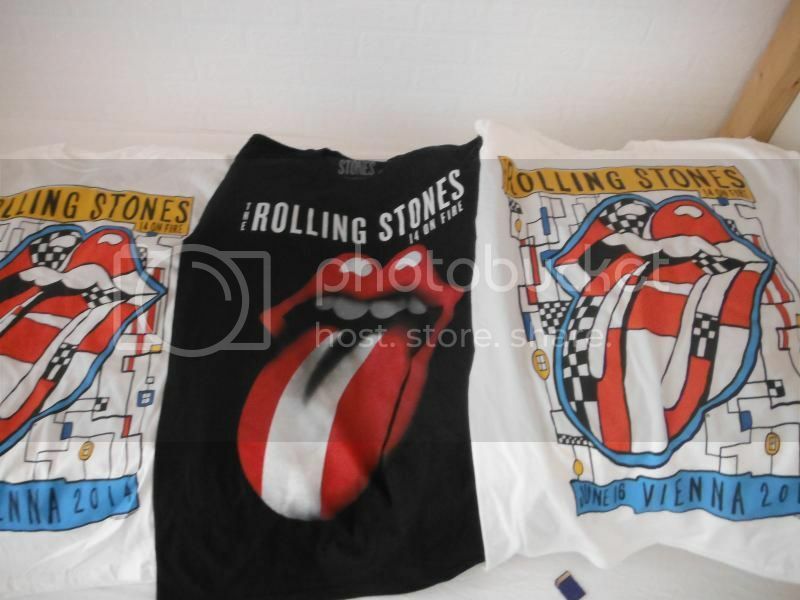 And the Stones must be on stage at any moment from now on.